Wroclaw Zoo - A Grrrreat Day Out! Odra - the life and soul of Wroclaw! Wroclaw is bursting at the seams with cosy cafes, excellent restaurants, and charming hotels. Add to that plenty of places to shop and have fun and you'll quickly understand this city's exploding popularity. Wroclaw Life brings all of that and more! 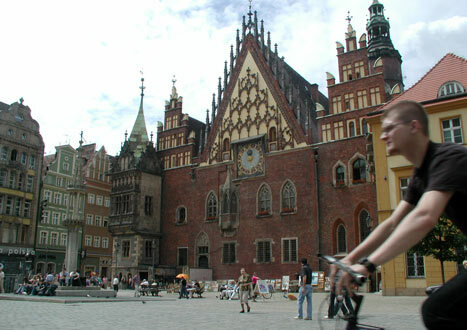 Get travel tips and information about the city and Poland in general. Stay in the know with local and national news, impress your friends with your Polish language skills and keep abreast of the city's many festivals, such as the amazing Nowe Horyzonty Festival! We keep it relaxed but accurate on our site and we're confident that you'll quickly fall in love with Wroclaw, just as we did! Whether you're just dreaming of a vacation or you're already in town, we're here to help you find everything from crazy concerts to comfy apartments. 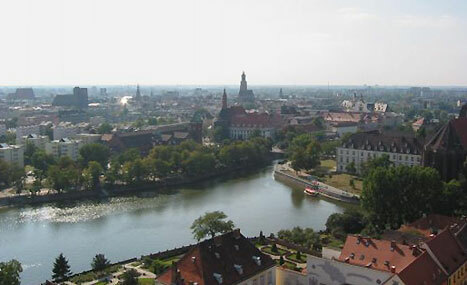 Wroclaw has much to offer but, like most of Poland, it favours the discoverer. We live, love and work here and we'll be glad to help you make the most of your stay! We do our best to keep the information thorough and up-to-the-minute. If there is something you can't find, however, please contact us! Even the best can get better and we won't stop until we've created the number one guide to Wroclaw! As long as you're in the neighborhood, check out our friends in Krakow, Warsaw, Gdansk or Zakopane and Poznan. The largest country in New Europe welcomes everyone with its famed hospitality... What are you waiting for? Pick Poland! There's never a bad time to visit Wroclaw, even in the cold grey winter. Parks may be the reserve of the foolhardy, and the canal-side walks too have lost their appeal, but the Market Square is just as resplendent and a veil of snow and illuminated Christmas tree are sure to get visitors in the festive spirit. And if you're worried that people will be hibernating throughout January and February think again... It takes more than sub-zero temperatures to separate the average Wroclawian from their favourite bar! Dubbed 'the Meeting Place' of Poland, Wroclaw can certainly claim to be one of the nation's most forward looking cities. A thriving business and cultural hub, this small town hosts more than its fair share of international events - the big one on the horizon being Euro 2012. But you don't need a special occasion to pay Wroclaw a visit. Quite apart from its spectacular Market Square, towering churches and leafy parks, Wroclaw is full of charming surprises. Where else could you hope to find one of the world's few panoramic paintings, a Japanese Garden, and an army of gnomes...?